Web design today is an extremely exciting and dynamic thing. You can create a web site from nothing in a few moments. All you need is a good set of instruments and some creativity. Many web sites use CMS, a system helping to create and manage the looks and the content of a site. With a CMS, you only need good web hosting, some free time and good vision of your site-to-be. Leave the rest for the special tools and plugins. 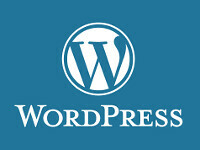 One of the most popular CMS systems is WordPress. It’s easy to install and helps you manage the content of your site without any problems. So, if you want to create a web site, WordPress will be a good tool. If you install this CMS, you’ll only need to choose a nice theme for it, and voilà! There are tons of WordPress themes on the web, so the task is not so easy as it might seem. Anyway. How to choose a Minimalist WordPress Theme? There are many web sites that offer you interesting WordPress themes. Normally, they are classified, so you can choose a category that fits the style of your site best. If you aren’t sure which category to choose, or you want to start with something plain, just try minimalist WordPress themes! These ones are soft, have a nice palette and popular fonts. All these themes have light design and user-friendly controls. With any of them your site will look stylish, smooth and modern. However, you should notice that minimalist WordPress themes are commonly used for blogs or personal promo sites. Also, some minimalist skins are popular among photographers, as they don’t need a lot of instruments on their personal web page. What Are Responsive WordPress Themes? 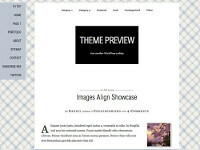 Many minimalist WordPress themes from our short list are also responsive. This strange term covers a nice function. Responsive web sites can adjust to screen widths of different devices. This is specially important nowadays, when mobile devices have rushed into Internet usage markets with enormous speed. Many experts advise to choose a responsive WP theme, but it’s always up to you. How to Install a Minimalist WordPress Theme? Also, don’t forget that some minimalist themes can cost you a certain sum. However, the sum is normally not really big. In our list above you can find both free and paid themes. Whatever, every WordPress skins is available in demo mode. To install a minimalist WordPress theme you can browse the web, and find some specialized web sites that suggest you to download a theme or to try it before installing. Hopefully, our article helped you with the theme choice. And finally, food luck with your web site!